Mike Cameron will DH for Pawtucket tomorrow and play with them through the weekend. He said there are “tentative” plans for him to rejoin the team in New York on Monday. So that’s good news for him. 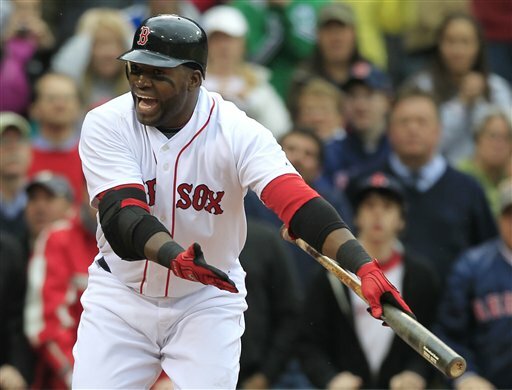 David Ortiz offered few comments about the called third strike in the ninth inning by Dale Scott. Well, at least any comments that wouldn’t get me fired if I printed them. Terry Francona, who was ejected defending his player, passed on commenting, too. Once the game is over, complaining only means MLB will levy a fine. So did Ortiz see a replay of the third strike? “I don’t have to. Thank God I wasn’t hitting righthanded because that would have hit me in the ribs,” he said. Suffice it to say, the strike zone was expanded all game. Replays and Pitchf/x showed the pitch to Ortiz was well was outside.